Auto repair industry definition for a supplement. Additional damage or costs that an insurance adjuster or estimator may have missed in initial inspection of vehicle. A supplement does not require any additional payment from the insured. Often damage may be overlooked or misjudged. A common reason why hail supplements are so common is that the damage is often initially inspected very quickly and in bad conditions. After a catastrophic hail event insurance companies get an enormous amount of claims that all need to be handled very quickly. They bring in special CAT Teams that are trained for this type of large-scale claims processing. If a supplement is needed, the repair company usually handles this and negotiates with the insurance company on your behalf. Sometimes a re-inspection is necessary to approve the additional amount. 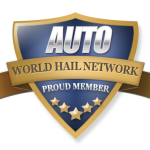 Hail Damage Master Repair Specialist trained by U.S.D.T. Read about the next term: Taco / Folding – The questionable method for removing a headliner without taking down all the pillar trims.